'Fast Forward to the Future: Empowerment of Young People Through Arts' initiated by TOK and Grafikens Hus (Södertälje, Sweden) is a polyphonic platform where young people can express their opinions about the themes that they find important and engage into a public discussion with people of different ages and background. Invited artists, performers, journalists and educators help them use for that various artistic formats for that - from large-scale posters, zines and videos to sound installations, performances and public actions that will take place in St Petersburg and Södertälje in 2019 and 2020. The results of the project will be reflected in a bilingual publication that can be used by artists and educators in youth-targeted artistic and social practices. 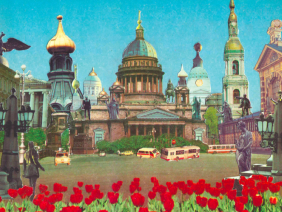 The Creative Association of Curators TOK continues its project "The Russian Bar: Why Relocate? New approaches to neighborliness and interchange" with a series of events, exhibitions, lectures and performances. From August 27 to September 9, newly commissioned projects which aim to analyze changing conditions of global migration in recent years and the outflow of artists, academics, journalists, activists from Russia in particular, of both Russian and Finnish artists will be presented in different locations in Helsinki. 'The Russian Bar: Why Relocate? New approaches to neighborliness and interchange' is a research-based art project aimed at analyzing the ‘new wave’ of emigration of Russians to Finland. It will be presented as a series of performances, talks, artistic interventions and small-scale exhibitions in different venues in Helsinki in June and August-September 2018. In their existing and commissioned works Finnish and Russian participants will address current and historical cases of exile and displacement, roots of nationalism and social acceptance, communication and exchange, disappointment and civil powerlessness, social and cultural clashes and reciprocity. 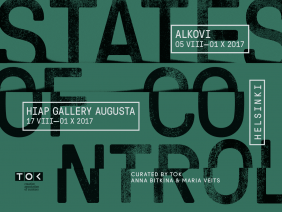 The project ‘States of Control’ brings together artists, researchers and curators from a vast geographical background: Georgia, Israel, Lebanon, Russia, Sudan, Ukraine, Poland, and the USA. They refer both to recent and historical phenomena spanning a wide spectrum from opposition of the USSR and the US during the Cold War and controversial position of Finland during that time to espionage tactics in Egypt and Israel in the 1960, and the recent conflict between Russia and Ukraine. 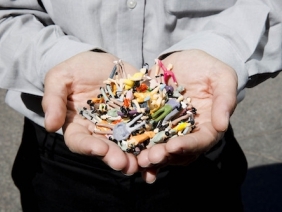 In their projects artists use diverse methods to address the multiple ways in which facts (or fiction?) are conveyed by media, mass culture and education to shape the realities we exist in. Focusing on different historical periods and current events the project participants create their own tactics of speaking about the past and the present to force a ‘memoryless’ society out of its comfort information zone. The fourth season of the project ‘Critical Mass​’ lasts for two years and focuses on ​an analysis of the history of youth movements in the 20th century and the contemporary context of youth initiatives and organizations. 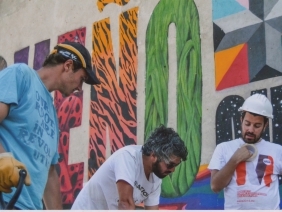 It showcases ​collaborative initiatives with teenagers and young people and​ facilitate​ their active engagement into contemporary creative processes, especially those taking place in the urban environment and public space. The main objective of​ the fourth season of​ ‘Critical Mass’ is ​the ​integration of new artistic, educational and social practices in​to​ government organizations working with young people and involved in youth​ oriented​ policy making. Third season of the project 'Critical Mass' is focused on the issues of preserving cultural heritage and analysis of history and cultural collective memory. The main goal of the project this time is to form sustainable scenarios of revitalizing historical buildings and areas using creative and social practices. The venues of the project is a historically significant spot in St Petersburg - the Gromov's Dacha and Lopukhinskiy garden. 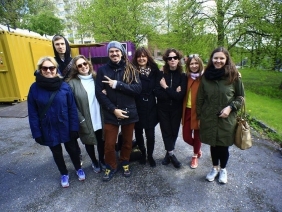 "Young Curators & Art Operators Network" is a curatorial network of young and emerging curators from the North-West Russia and Sweden/Nordic countries initiated by Intercult (Stockholm) and Creative Association of Curators TOK (St Petersburg). The main objective of the network is to stimulate dialogue and cooperation between art professionals interested in sustainable curatorial and artistic practices in public spaces as well as research-based multidisciplinary projects that bring together and connect various communities anf groups. 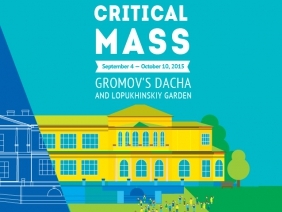 Third exhibition of public art "Critical Mass" will take place in the Gromov's Dacha, the unique wooden building of the 19th century, in summer-autumn 2015. 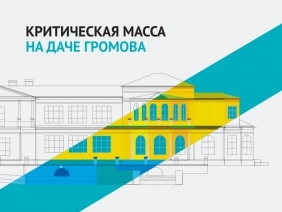 In July, 2014 TOK arrange a series of the preparatory activities consisting of lectures, performances, summer school and research in order to open the dacha for citizens and to collect a material for the planned exhibition. 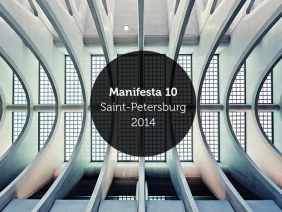 TOK curates three and produces two projects in the framework of the public and parallel programs of Manifesta 10, which is held in St Petersburg from June 28 to October 31, 2014. Represented artists include Jeremy Deller (UK), Olga Jitlina (Russia), Gluklya (Russia), Emily Newman (US), and Maya Zack (Israel).